Quitting smoking may be one of the toughest things that you ever do, but it may also be one of the best if you do manage to succeed. There are hundreds of benefits associated with stopping, so you have every excuse to quit the habit. Although there are a lot of different products on the market which serve to continue giving your body the substances that it craves, there are also other natural methods which can make it easier for you to stop. Research from an American university suggests that whilst some foods compliment cigarettes, other foods can make smoking “taste” less appealing. Alcohol, coffee and red meat all fall within the “compliment smoking” category, whilst fruit juices, vegetables, solid fruits and dairy products should help to ruin the taste of cigarettes for even the most committed smokers. Carbohydrate cravings may also be mistaken for cigarette cravings. On occasions when cravings are strong, snacking on a low calorie carb-based treat can also help to stop that urge to reach for a cigarette. However, it is important that you do not simple replace one addiction with another. Although you should alter your diet to help you to create negative associations with the taste of cigarettes, you should not try to stick to any other faddy diets during the first phases of your campaign to quit. Research has shown that concentrating on a strict diet whilst trying to stop smoking is likely to dilute your efforts to do both and can result in a double failure. Research has shown that people who are physically active are more likely to be able to stop smoking and stay stopped. Exercise should be vigorous and aerobic if you want it to have the maximum effect. This includes exercises such jogging, swimming and cycling. Team sports are also great choices, because your team can help to support you in your quest to quit. Alternatively, relaxation exercises and concentration based martial arts, such as Tai Chi are thought to focus the mind and make smokers feel more in control of their cravings. Control will mean that they are less likely to pick up a cigarette on a whim. Studies about addiction have shown that quitting an addictive substance is easier if you have a firm support network behind you. 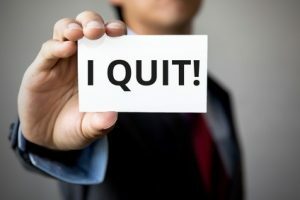 If you are part of a group of smokers, your chances of success can be increased if you try to quit as a group. Offer support to one another if one member falters, rather than all slipping back into bad habits. It is also possible to find local groups who also offer support to those who are trying to quit smoking. Your local pharmacy or GP may have information about any groups that are operating in your area. Hypnosis sessions with a trained hypnotherapist can help to make people more mindful of their cravings. Contrary to popular belief, a hypnotherapist will not just pluck the idea of smoking out of their patients minds, but they will try to give them the mental tools that they need to stop cravings having a huge effect. Some people benefit from just one session, whilst other people may need multiple sessions to help them. Recent studies have suggested that alternative medicines may help quitters to stay off of the cigarettes. The quit rate is estimated to be about 30 per cent higher for people who have had six or more acupuncture treatments as part of their quit cycle. Herbal remedies exist which are also known to help people to fight addictions and the depression which is associated with withdrawal. St John’s Wort is one of the most popular substances available. If you do decide to use a herbal supplement, make sure that you read the label properly and make sure that you do not take more than the recommended dose. Even though these are natural medicines, it is still possible to overdose on them. You should also check for drug interactions if you are on any other type of medication. St John’s Wort is known to interact with a large number of common prescription medications, including the contraceptive pill.